Just 747 days. That is the time it took Bristol City to travel from a final-day trip to White Hart Lane on 3 May 1980, taking on Tottenham Hotspur in the First Division, to them facing Hull City at Ashton Gate on 28 August 1982, for their first ever game in the Fourth Division. Bristol has always been something of a footballing Bermuda Triangle; a complexity. It is the eighth most populous city in England and the 10th most populous city in the United Kingdom. Away from London, there is nowhere in southern England as densely populated. It is larger in number than the defiantly football-shaped cities of both Newcastle and Sunderland. Bristol is very much on the map. In 2014, the Sunday Times declared it to be the best in England in which to live. Rich in heritage and culture, a city at one with itself. A magnet to many professionals, and a long-term production hub of the BBC, it has much to be proud of. Bristol is also a traditionally barren footballing land. It seems bizarre that such a large city can boast only nine top-flight seasons of football, all of those belonging to Bristol City. Bristol Rovers have never reached the highest level of the English football pyramid, while five of the nine seasons in which Bristol City contested top-flight football were played out over a century ago. There are nine title-winning cities in England which are smaller in population than Bristol. Any self-respecting billionaire wanting to milk the Premier League cash cow for all it’s worth would probably make a killing in what is a largely untapped geographical area in footballing terms. As far as the round ball goes, Bristol is a blot on the landscape. A short-lived rise in the first decade of the 20th century aside – a decade in which they won promotion to the First Division and reached their one and only FA Cup final – Bristol City had pretty much lived out an unremarkable existence as the 1970s lumbered into view. Parochial spats with Bristol Rovers for local bragging rights had been the only real source of joy. Under the management of Alan Dicks, however, City began to make the occasional headline. An unexpected run to the semi-finals of the League Cup in 1971 seemed to act as a catalyst for better times ahead. Dicks transformed his Second Division strugglers from annual relegation candidates into top-half hopefuls. 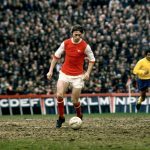 In 1974 there was a run to the quarter-finals of the FA Cup, inclusive of defeating the all-conquering Leeds United, in a fifth-round replay at Elland Road. 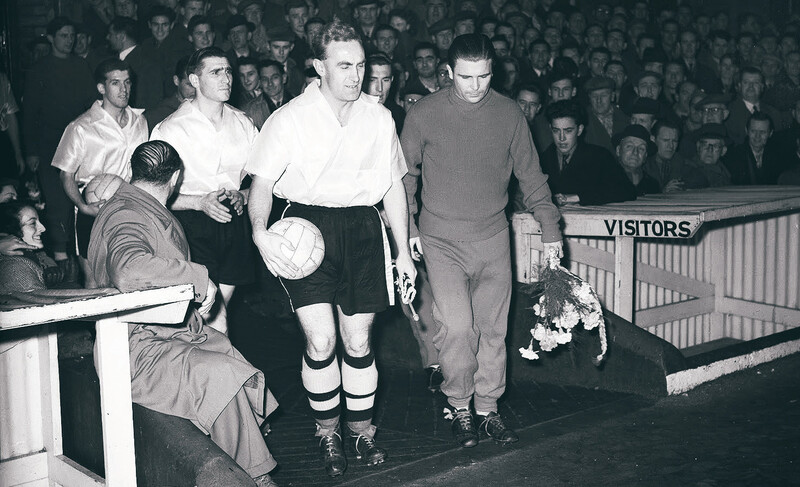 It was a run which was only narrowly ended at Ashton Gate by Bill Shankly’s Liverpool, the eventual winners. Two years later, Dicks took Bristol City to promotion as runners up to Sunderland, and ahead of West Bromwich Albion on goal difference, with Bolton Wanderers marginally edged out. Their 65-year top-flight exile was finally over. For four seasons, Bristol City stubbornly fought it out with the spectre of relegation. Controversy raged at the end of the 1976/77 season when a final-night relegation conundrum saw them travel to Highfield Road to take on Coventry City. With an in-form Sunderland away at Everton, knowing a win would make them safe from the drop, it left the game at Highfield Road on a knife edge. If either side lost, it would mean relegation. With a handily yet correctly delayed kick-off at Highfield Road, it meant that both managers knew what would be required of them, as events unfolded at Goodison Park 15 minutes ahead of proceedings in the West Midlands. When news filtered through of an unexpected rabbit-in-the-headlights performance by Sunderland, with Everton shooting into an early lead, it meant that a draw would be enough for both clubs to survive the drop. With the scoreline at 2-2, Bristol City having fought back from 2-0 down, both sides took the sting out of the game. Bristol City playing keep-ball in their own half, while Coventry refused to venture forward. Sunderland fans of a certain vintage are yet to forgive either club. Over the course of the next two seasons there were gradual improvements, to the extent that in 1978/79 Bristol City were closer in points to the European places than they were to the relegation zone. The Robins’ relative success in the First Division over those three seasons was largely built upon a squad which mixed youthful potential with proven experience and battle-hardened lower division players who were willing to fight tooth and nail to hold on to their hard-earned opportunity in the top-flight. Dicks managed to pick up players of the calibre of Peter Cormack from Liverpool, Norman Hunter from Leeds and Joe Royle from Manchester City. They were allied to players quarried from character-building backgrounds, such as Geoff Merrick, Don Gillies, Gerry Gow and Tom Ritchie, and exuberant emerging stars like Gary Collier, Clive Whitehead and Kevin Mabbutt. It all made for a compelling collection of unlikely heroes. Bristol City’s downfall would ultimately stem from one of those exuberant emerging stars. The loss to Coventry of Collier, for a fee deemed to be well below Dicks’ valuation, changed the entire outlook and even the very future of the club. Due to the 1978 alterations to the freedom of contract laws, Collier had been able to depart Ashton Gate at the end of his contract, without his employers being able to stand in his way. Collier’s old club were left to the mercy of the tribunal system to set the transfer fee, and Dicks felt short changed by Coventry. Collier, Bristol City’s player of the year for 1974/75, and then again the following season as part of a collective award to the entire promotion winning squad, was sorely missed. To pre-empt a similar situation occurring again when it came to his most valued assets, Dicks and his board of directors sanctioned the advent of the 10-year contract. They signed several players up to decade-long agreements, so as to safeguard their transfer valuations and return the balance of negotiating power to City as the selling club, rather than to rival clubs with designs on swooping on their prized commodities or, heaven forbid, in giving the players themselves greater control of where and when they could move on. While the theory might have seemed vaguely sound, the practicalities were another matter altogether. The financial commitment Bristol City needed to undertake to tie up their star players on such contracts was gargantuan, and they also depended greatly upon the club maintaining their First Division status and attendances remaining high. 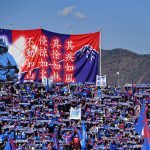 Both of those concepts proved to be sticking points, as the number of supporters clicking through the turnstiles began to recede, and then relegation to the Second Division soon followed. Behind the scenes, City were a slowly sinking ship financially long before they lost their top-flight status, but slipping out of the First Division was a cataclysmic event which propelled them towards the rocks. Dicks remained in charge for the beginning of the 1980/81 season, making positive noises of the potential for an immediate return to the First Division, and trying to enthuse stay-away supporters to come back and give their team the backing they desperately needed. As September came to an end, so did Dicks’ management of the club. Sat at the bottom of the Second Division, and without a league win in their opening eight games of the campaign, enough was enough. With high outwardly-projected ambition, City turned to the man who had led Malmö to the 1979 European Cup final. Bob Houghton, who’d headed to Scandinavia from the English non-league pyramid in 1974 for the greater coaching opportunities that he felt he was being denied in his homeland, jumped at the chance to return to English football to prove himself. Houghton brought an assistant with him, a man by the name of Roy Hodgson, a fellow exile from the English game who had set off for new lands to explore. Both men had more lucrative offers on the table. Houghton had departed Ethnikos Piraeus in Greece to take up the challenge, while Hodgson had been in talks with Dallas Tornado of the NASL, before the call came. Both Houghton and Hodgson had no idea of what they were walking into. From the outside looking in, they saw a club fresh out of the First Division which was simply finding life outside the top-flight difficult, a project that could be readily turned around and a club that under the right guidance had the potential of a quick return to the division above. Within weeks of their arrival, the horrible truth began to sink in. Speculation of the levels of debt the club was in started to surface. Rumours abounded that the financial outgoings at Ashton Gate were around five times that of the income. Prospects of a footballing utopia in their homeland soon evaporated for Houghton and Hodgson. By May 1981 a second successive relegation had befallen Bristol City. At best outlandishly and at worst irresponsibly, the board of directors authorised the £150,000 purchase of Mick Harford from Newcastle. In theory, this gave City a potent-looking strike partnership in Harford and Mabbutt that would be expected to score goals aplenty in the Third Division. Increasingly, the practicalities of the situation were coming home to roost, however. By October, Mabbutt had been sold to Crystal Palace for £100,000 as the club sat in mid-table. With previous year losses thought to be around the £400,000 mark, and approximately £3,000 to £4,000 a week leaking from the finances, Harford had basically been signed with a commitment of money that the club simply did not have. By January 1982 the cause was deemed lost by many inside the club. Houghton resigned as manager after a New Year defeat at home to Wimbledon, a game witnessed by under 5,000 spectators, a figure in stark contrast to a high of over 38,500 during the heady days of the First Division. Meanwhile, many directors had seen enough and removed themselves from the increasing chaos. Positions were now seen as being untenable. On the management side, Hodgson stepped into the breach. From a mid-table position in early November, Bristol City had plummeted; when he took charge, they had slipped into the relegation places. 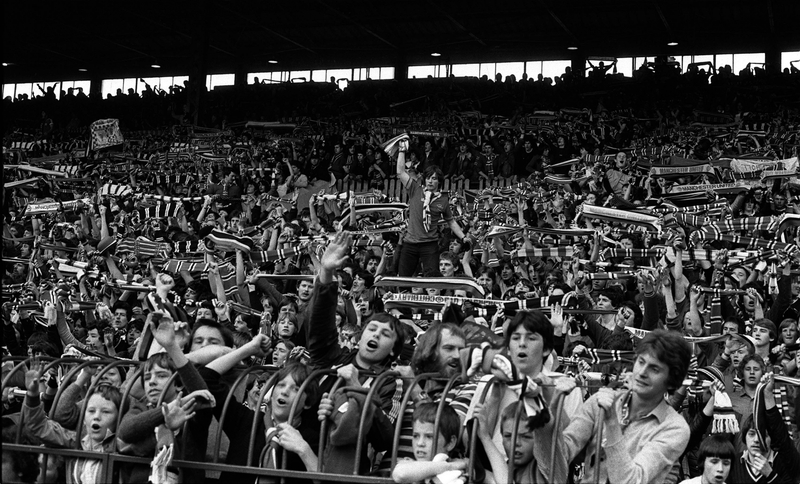 A timely FA Cup fourth-round home encounter with the reigning league champions and European Cup winners to be Aston Villa brought over 20,000 spectators through the gates, and with them a desperately-needed financial boost, albeit with a raw reminder of those regular big days at Ashton Gate which had ended only 18 months earlier. When City took to the pitch again, the club had completely changed direction. The extra income from the Villa game had essentially bought the club a couple of extra days to save itself from oblivion. On the last Saturday in January, the wheels of survival were set in motion. With the first team gaining a point away at Newport County and the reserves having played at Arsenal, the squad returned to Ashton Gate to a scribbled note from the directors. On this note, there was a list of eight names. Jimmy Mann, the first of the players on the list to make it back to the ground, had been handed the note and was asked to pass the message on to all concerned. They had all been asked to attend a meeting with the board of directors. Mann, along with Trevor Tainton, Gerry Sweeney, Geoff Merrick, Julian Marshall, David Rogers, Peter Aitken and Chris Garland were all asked to tear up their existing contracts. The message delivered was that if they didn’t, then the club would go out of existence. The PFA and the FA were brought into negotiations. There had been no previous precedence for such an eventuality. Even within Accrington Stanley’s 1962 resignation from the Football League, this was still a unique occurrence. A week of bitter recriminations followed. The FA and the PFA, initially sceptical about just how perilous a state Bristol City were in, took some days to investigate the situation, before accepting that the situation was indeed as grave as the board of directors had forecast. Bristol City was in possession of a debt which was £850,000 more than the sum valuation of the club. They owed £120,000 in transfer fees, £12,000 to the Inland Revenue, £80,000 to Customs and Excise, plus £500,000 to the playing squad. As the local media attention intensified on the story, and in particular on the role of the eight players being asked to sacrifice their contracts to save the club, the pressure escalated. Portrayed as affluent footballers in big houses and brand new cars, there was an angle being taken that the ‘Ashton Gate Eight’ were holding the club to ransom. Unbeknown to the watching public, most of those on the list were on modest wages in comparison to other clubs, and the widely publicised 10-year contracts weren’t applicable. These were simply the eight highest earners, and they were being asked to give up their contracts. The eight were owed a combined £290,000 by the club. They eventually settled on a pay-out of £100,000, inclusive of the right to the proceeds of a benefit match, which ultimately went sparsely attended. The decision for the players had been a stark one: accept the terms and walk away with something, or refuse the terms and receive nothing from the liquidation of the club. The eventual compromise saved City and the eight contracts were torn up with immediate effect. On 3 February 1982, the club had been minutes away from folding, before an agreement was reached. Unseen hardships were encountered by the Ashton Gate Eight, particularly for Tainton, who in time suffered the bankruptcy of his business. None of the players were set up for life beyond football. The PFA successfully found the eight players new clubs, albeit with a great deal of short-notice upheaval involved. Merrick and Garland headed for Hong Kong, Sweeney and Aitken to York, Tainton and Rogers to Torquay, Mann to Barnsley and Marshall to Blackburn, with only Mann and Marshall making what could be described as a step up the footballing ladder. A ‘Support City, Now or Never’ campaign was launched, and over 9,000 spectators were in attendance for the club’s first game after the departure of the eight. With Hodgson forced to restructure his team with an influx of youth players, a spirited goalless draw was witnessed by their biggest league gate of the season. A flurry of three wins in four games from mid-to-late February gave hope to the club of avoiding a third successive relegation, yet it was nothing more than a false sense of security. By March, and in a panic departure, Harford had been sold to Birmingham City for £100,000. It was money which was absorbed within the collective debt of the club. On paper, Newcastle were still owed £100,000, despite the player having been moved on at a loss, even with the player having played well and having scored consistently. Harford was joined in exiting the club by Whitehead, another £100,000 sale, this time to West Brom, and goalkeeper Jan Möller to Toronto Blizzard for £85,000. As the club continued to offload its most sellable assets, the board gratefully accepted any cash injection on the table. A £20,000 shirt sponsorship deal was agreed, and a £50,000 loan from new director Leslie Kew merely plugged the holes temporarily. Other board members were throwing in unspecified cash amounts to help pay the utility bills. The departure of the Ashton Gate Eight didn’t bring with it an end to the problems faced by the club. A selling ban was put in place, and with debts and salary bills still high, an opportunistic offer was made by Martin Flook and Barry Bradshaw, the chairman and vice-chairman of Bristol Rovers, to purchase Ashton Gate for £450,000. The spectre of Bristol becoming a one-club city was averted, however. A share issue scheme failing to provoke local interest didn’t help the club in their battle to ward off their rivals’ advances. On the field, things went from bad to worse. Hodgson, who had been publicly scathing over the lack of interest in the share issue, went all-out attack and it backfired spectacularly. March and April brought a run of 12 games without a win, with just two points picked up in the process, including a derby-day defeat at home to Bristol Rovers. By the end of April, Hodgson was gone, returning to the continent, where he felt better appreciated, and a new regime was in control of the boardroom. Deryn Coller and Ken Sage, men whom many City fans view as the real saviours of the club, took the helm. Coller and Sage re-formed Bristol City as a new company – BCFC (1982) Ltd – with ambitious and optimistic noises made. It was a new start, but one which would have to take root in the Fourth Division, as the third successive relegation beckoned the club to the basement of the Football League. When Bristol City walked onto the Ashton Gate turf to take on Hull City on August 28 1982, former England international Terry Cooper was the man charged with restoring a semblance of pride to the club. After early teething problems, including a 7-1 loss away to Northampton Town, the ship finally steadied. 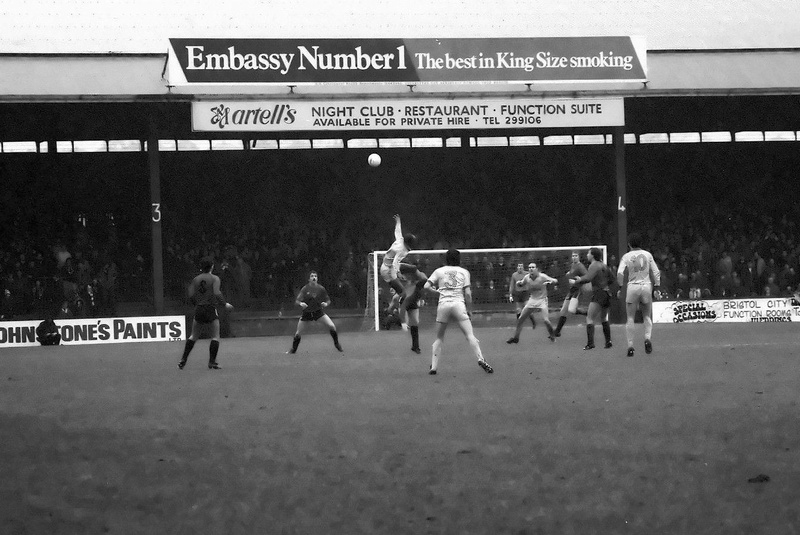 The 1982/83 season proved to be the one when Bristol City navigated a slow and painful about-turn. A 14th-place finish would mark the club’s lowest numerical ebb, yet the nadir had come the previous season, when they almost folded. The following campaign saw promotion back to the Third Division, followed by four years of knocking on the door of the Second Division. 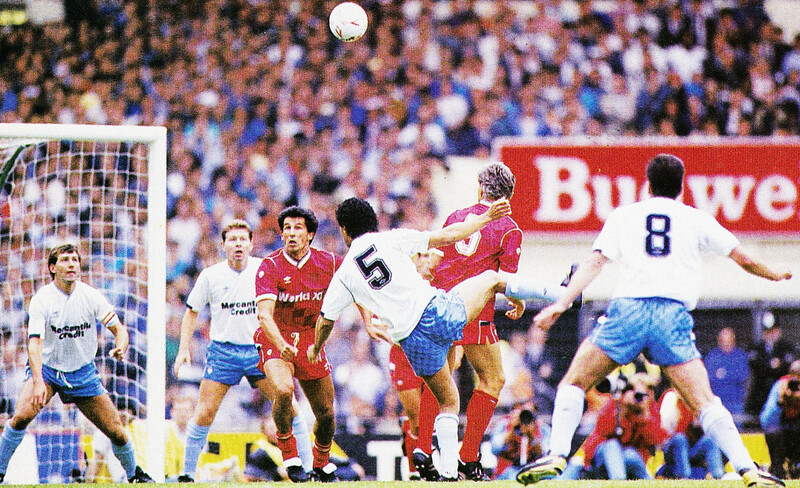 Cooper’s transformation of City took them to within a penalty shoot-out of a return to the second tier of the English game in 1988, before Joe Jordan managed the feat two years later, bringing an end to a tumultuous decade at Ashton Gate, a year after they had pushed Nottingham Forest close in the League Cup semi-finals. It had been a startling implosion. That three-season span of relegations encompassed 130 league games, of which Bristol City won just 27, scoring 106 goals and conceding 182, for a combined goal difference of -76. It was the three-year eye of a storm which, both on and off the pitch, could have sent the whole landscape of football within the city of Bristol in any one of many different directions. That Bristol City Football Club was still standing once the dust had settled was nothing short of miraculous.